News today that Warren Gatland has taken a late decision to rest Sam Warburton for tomorrow's fixture against the Chiefs and has called up 44 year old pub team player Dafydd Watkins as bench cover. Watkins is currently touring New Zealand in a camper van with mates and will now provide back row cover against the Chiefs. 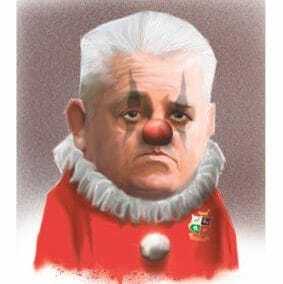 "Dai is Welsh, he's based locally, he's purchased his own shirt and he's brought his boots with him so it makes sense to bring him in" says Gatland. "I know some people may suggest that this somehow devalues the shirt but the important thing is to protect the Test team. "We're here to win the series."